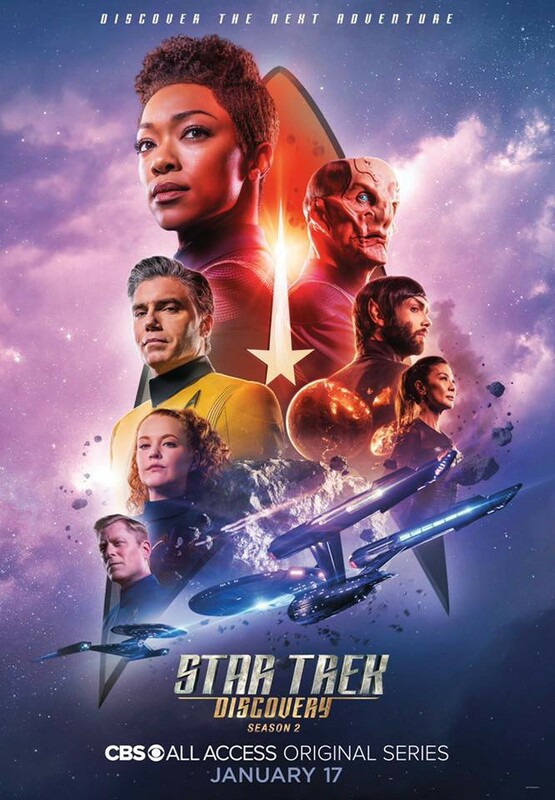 CBS have added an extra episode to Star Trek Discovery season 2, making it 14 episodes. Star Trek: Discovery - Season 2 Trailer. looks exciting. I think because we have had such a big break, watching the trailer again is making me have a niggle about the technology side of things with the holographic displays and stuff given how early the series is based. I'll try and let it go though, I really do enjoy quality serious scifi. Star Wars: 'Rogue One' Series Spinoff to Begin Filming in October 2019. The unnamed series is seemingly following a similar pattern to Star Wars: The Mandalorian, which went into production in October of this year and will land on the upcoming Disney streaming service Disney+ in late 2019. Between The Mandalorian and Star Wars: Episode IX, the final months of 2019 will be huge for Star Wars fans. Michelle Yeoh plays the (ex) Emperor Philippa Georgiou in the main series. I had a feeling this would be announced. It was rumoured a few months back and they have got so many shows now. Discovery is the main one with Short Treks. Then The unnamed Picard show coming sometime this year. An animated show called Lower Decks from the creators of Rick and North. Another animated Trek show was also recently announced. There was also rumours of a kid friendly animated show as well as a series of animated Short Treks for later in the year. They are fairly expanding the universe again. Last edited by Stephen; 14-01-2019 at 21:05. The Expanse series 1,2, and 3 will be streamed on Amazon Prime from February 8th. Amazon has acquired worldwide subscription-streaming rights to the first three seasons of “The Expanse,” the space thriller that originally aired on Syfy, leading up to Prime Video’s debut of season 4 later in 2019. Seasons 1-2 of “The Expanse” are currently available in the U.S. on Prime Video. All three seasons, comprising 36 episodes in all, will become available on the service in over 200 countries and territories starting Feb. 8. BTW The Magicians renewed for a fifth season. The planned reboot of 24 (as a prequal) has been canned by Fox. The reboot of Bewitched (by ABC) has been put back at least a year. ABC are also open to the idea of rebooting Lost, although in reality (!) its unlikely. I would have loved a 24 reboot. Lost was awesome and should be left as it is. Paramount Network is looking at a reboot of Bergerac. Not sure about that as the original Bergerac was iconic with John Nettles in. The CW has cancelled its plans for a 4400 reboot. The BBC are making more episodes of their various "Planet" series. Perfect Planet will be a five part series to be broadcast in 2020. Green Planet, which will be broadcast in 2021. Frozen Planet II, which will be broadcast in 2021. Planet Earth III, which will be broadcast in 2022. Well he certainly won't be doing the Blue Planet spin-off that is for sure.